Is the Porsche 911 GTS for the Hopeful GT3 Owner Not Ready for a GT3? After all, the GT3 can be tough to handle. Some feel the Porsche 911 GT3 is solely for those who know how to handle a high-performance machine. They may be right, but then again, the latest generation GT3 is more civilized than ever before. For starters, the manual gearbox has been swapped in favor of a dual-clutch PDK. Along with other modern features, the GT3 won’t necessarily kill the amateur driver. Enter the new GTS, the so-called gap holder slotted between the Carrera S and GT3. The question today, coming from Autocar after its initial test drive, is whether this car is even necessary. 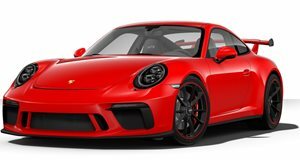 Behind the wheel of the GTS 4, reviewer Steve Sutcliffe doesn’t have anything bad to say about it, only that the GT3 is already so good there may not be a reason for the GTS’s existence. Then there’s the price tag. 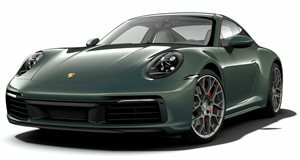 The difference between the GTS and GT3 isn’t so significant.